Every month we feature a few the past month’s bird sightings as suggested by our experts. Here are five notable observations from October. 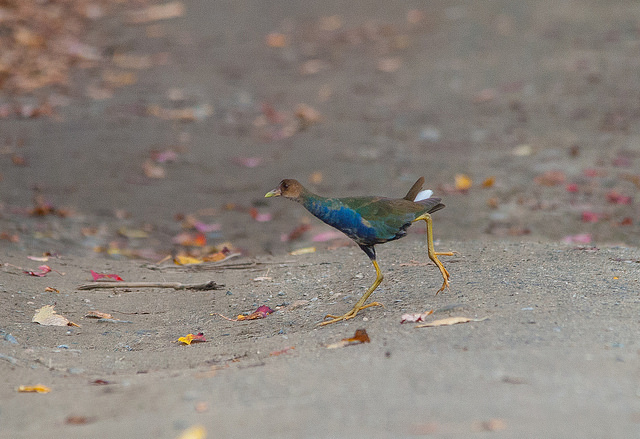 A living rainbow, this bird has enormous feet that enable it to walk across floating wetland plants such as lily pads. It can also swim. The purple gallinule is essentially a tropical species, and in the US it is typically found only in the far south and southeast. However, individuals regularly wander and turn up in odd places during migration—such as this one found at the Westborough WMA in Worcester County. Another southern species, the Bell’s vireo breeds in the central and western US and parts of Mexico, and winters in Mexico. A small, fairly plain-looking songbird, it has a remarkably loud song. 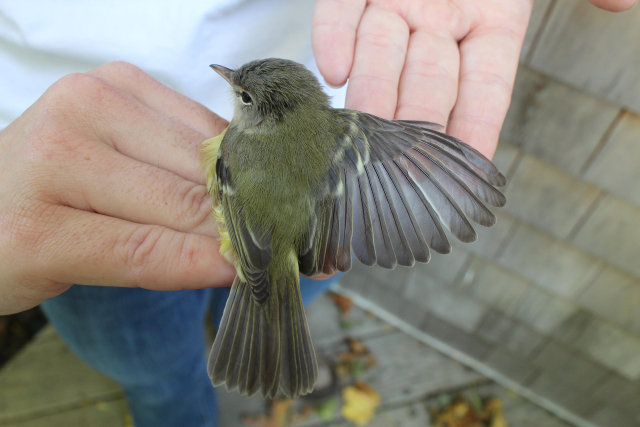 Researchers at the Manomet Center for Conservation Sciences banded a Bell’s vireo last month. It was the third such occurrence since 2005. 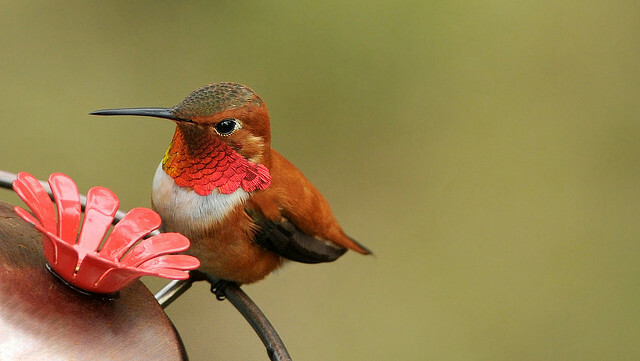 Native to the western US, the rufous hummingbird breeds as far north as Alaska. It is a speedy, vibrant species, and makes up for its small size with tenacity and aggression. The male’s throat is orange but the female only shows a spot of orange. Last month a rufous hummingbird was seen in Great Barrington. The Allen’s hummingbird, a very similar species, can be very hard to distinguish from the rufous. Fortunately, the bird in Great Barrington was an adult male with a distinctive, completely rufous-colored back. 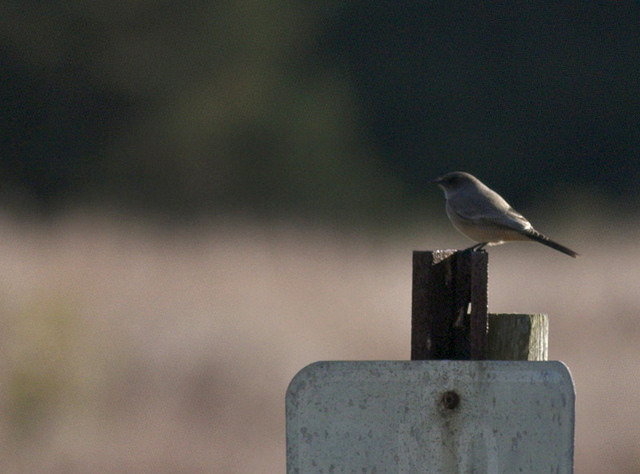 Last month we shared a report of a Say’s phoebe on Nantucket. In October, another individual was spotted in Eastham. This western flycatcher is at home on ranches, and in badlands, desert edges, and other open arid habitats. It breeds all the way to northern Alaska and winters in parts of the southwestern US and Mexico. Individuals sometimes wander East during fall migration, and when they do, they inevitably make an eastern birder’s day. This songbird is master traveler. It nests in Europe and Asia—with some birds entering North America in the high north from both the east and west—and winters in sub-Saharan Africa. 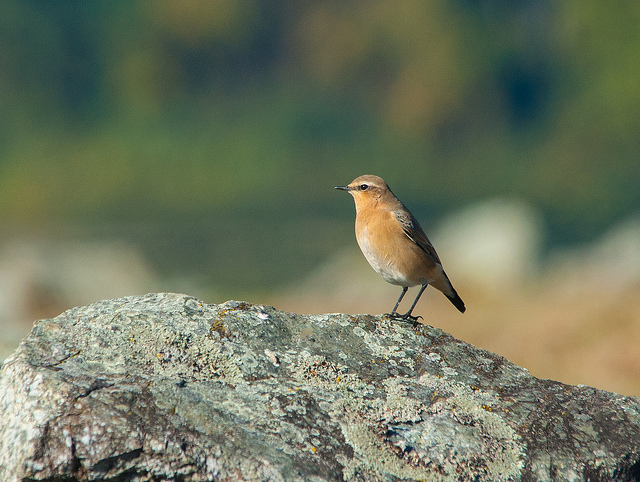 Researchers have found that Alaskan northern wheatears travel an average of over 9000 miles to reach their wintering grounds! Stragglers sometimes find their way south to Massachusetts, where one was spotted at the Wachusett Reservoir in Worcester County last month. This entry was posted in Nature Notes and tagged bird sightings, last month in birding on November 11, 2015 by Rosemary.